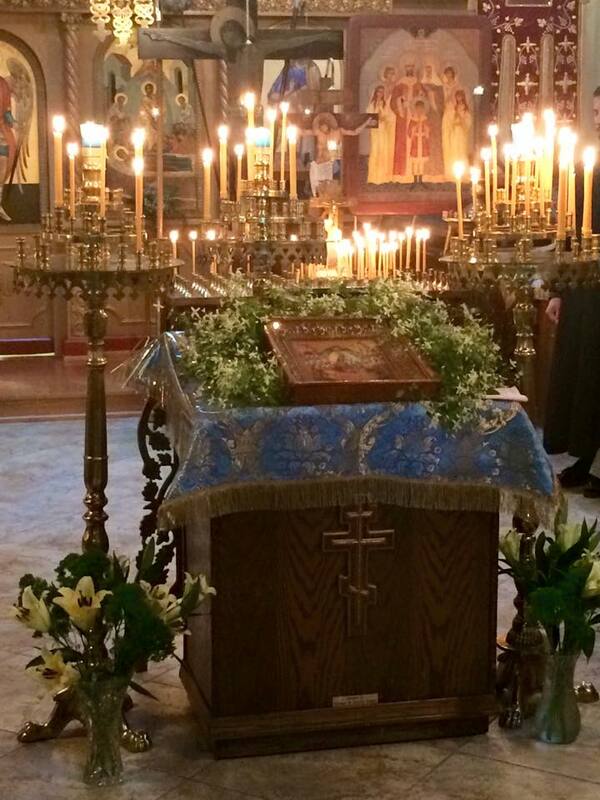 The great feast of the Dormition is always one of joy for the faithful, and in the Michigan Deanery this is even more so the case since this feast is an annual occasion of a hierarchal visit to the Dormition Cathedral in Ferndale, Michigan. 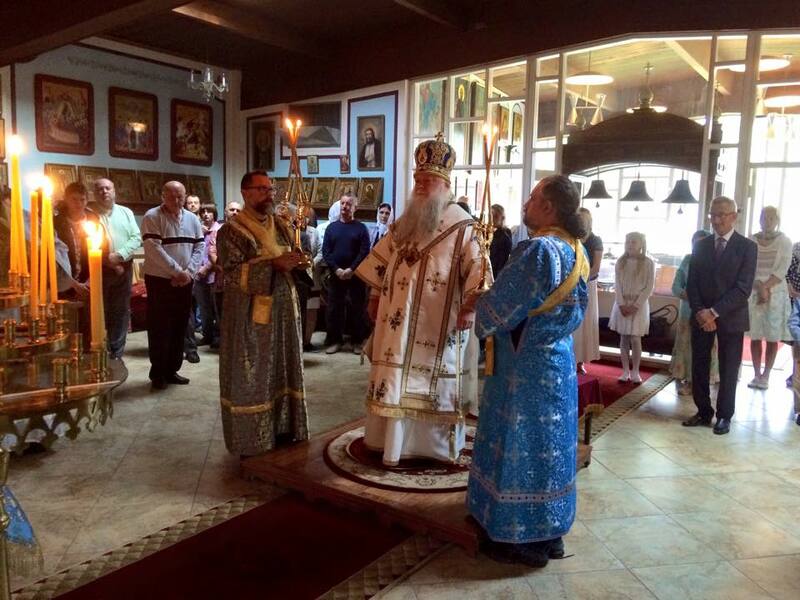 This year His Grace, Bishop Peter of Cleveland, lead the faithful in prayer on the second Pascha of their parish – their patronal feast day. 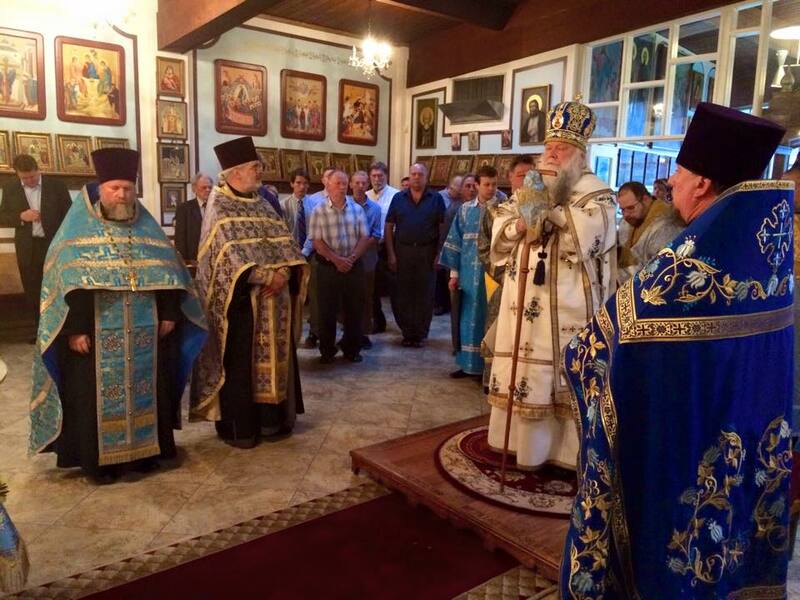 At the festal Vigil held on the eve of the feast His Grace was joined by Archpriest Andrei Alexiev (St. Stephan Decani Serbian Church), Archpriest Victory Trotskyy (Rector of Dormition Cathedral), Archpriest Gregory Joyce (Rector of St. Vladimir Church and Dean of Michigan Parishes of ROCOR), and Deacon Ioann Feloniuk (Cleric of Dormition Cathedral) as well as a multitude of Subdeacons and Readers from throughout the Deanery. Following the Vigil, at which many of the faithful confessed their sins in preparation to partake of the Holy Mysteries on the feast, the cathedral's sisterhood provided a light lenten meal for the clergy and those in attendance. 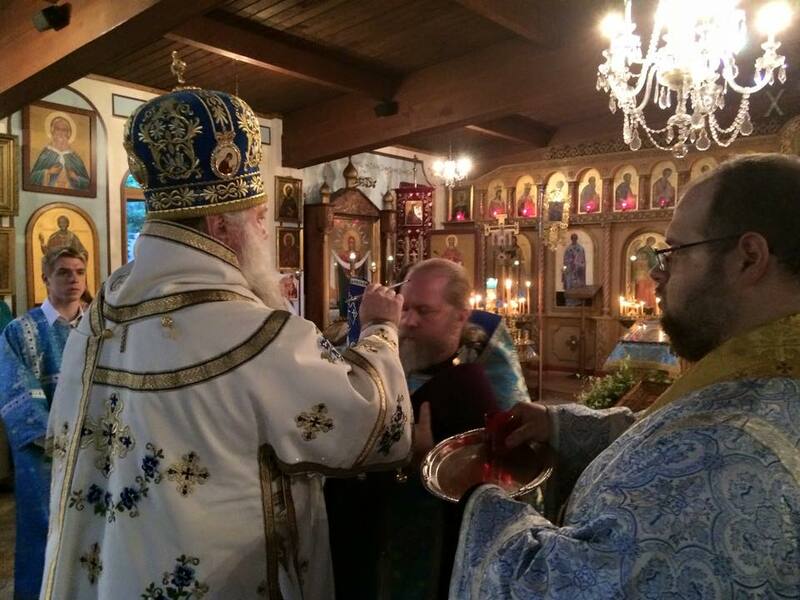 On the feast itself His Grace was joined by Archpriest Roman Star (Rector of St. Innocent Church), Archpriest Victory Trotskyy, Archpriest Gregory Joyce, and Deacon Ioann Feloniuk as well as a multitude of Subdeacons and Readers from throughout the Deanery. 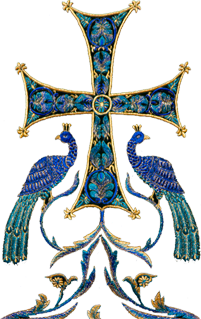 Following the Divine Liturgy at which many partook of Holy Communion, the requisite procession was held and the cathedral sisterhood again nourished those in attendance with a lenten meal. Many of the faithful lingered at the meal well into the afternoon, reminiscing about this and past patronal feast days at the cathedral. 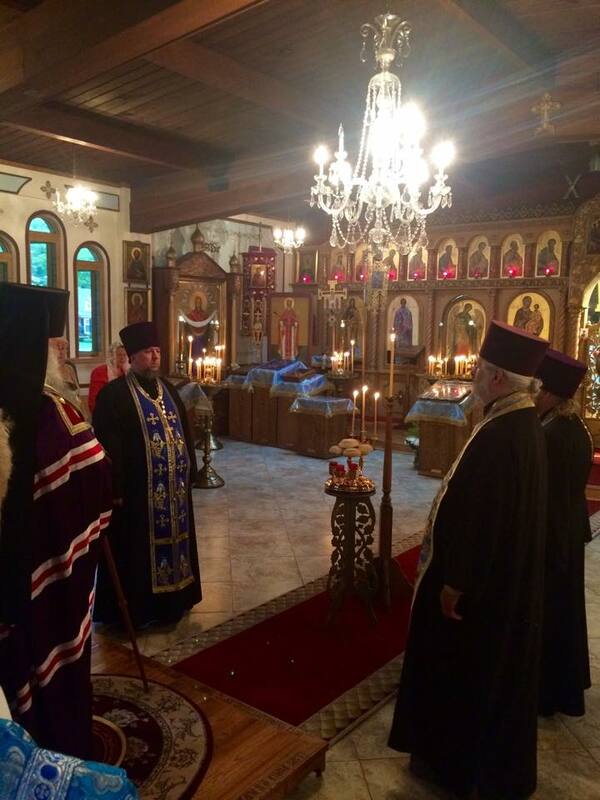 After the prayer following the meal His Grace Bishop Peter departed Detroit for the see of the Diocese.